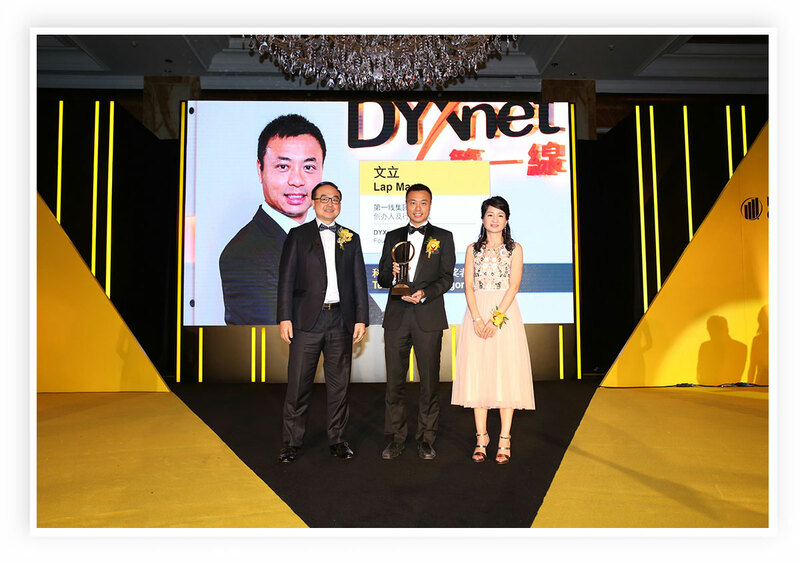 Colleagues and friends were at a special gala event in Shanghai on November 25 to see DYXnet Group CEO and Founder Lap Man receive the “EY Entrepreneur of the Year China 2016 Award” (EOY). 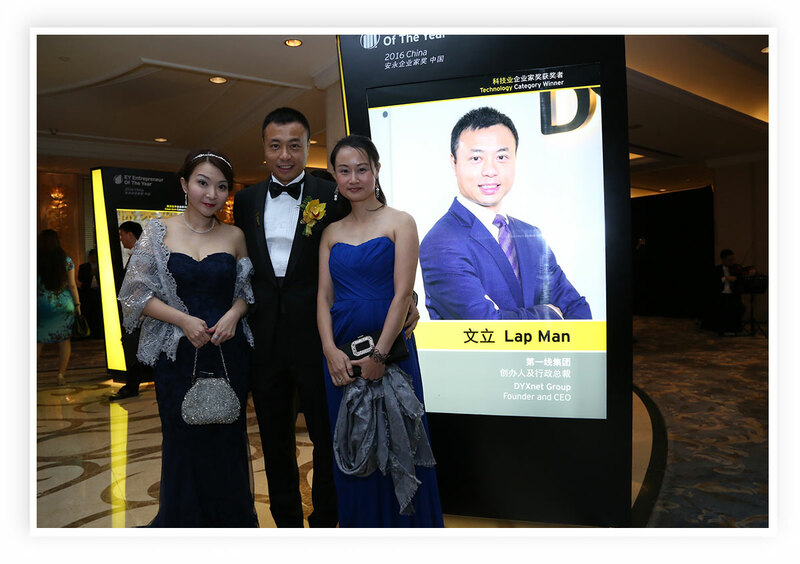 Core team members from DYXnet Group attended the gala event in Shanghai to support CEO and Founder Lap Man. Posing for the camera are Lap Man flanked by his EOY award nominators Lorraine Cheung (right), Partner of Ernst & Young at China Tax & Business Advisory Services, and Credit Suisse Director Julie So. 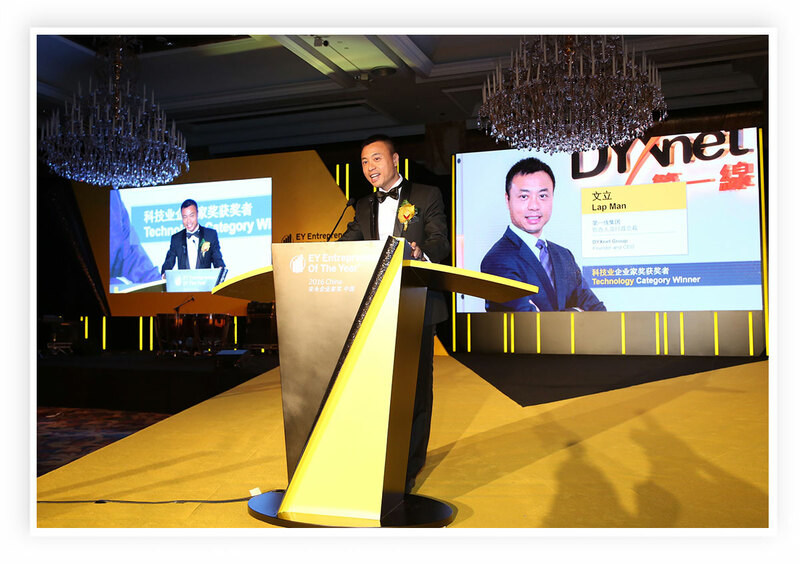 He was one of just three title winners from Hong Kong and Macau combined – as well as nine from across mainland China – to be honoured at the EOY awards ceremony organised by Ernst & Young. 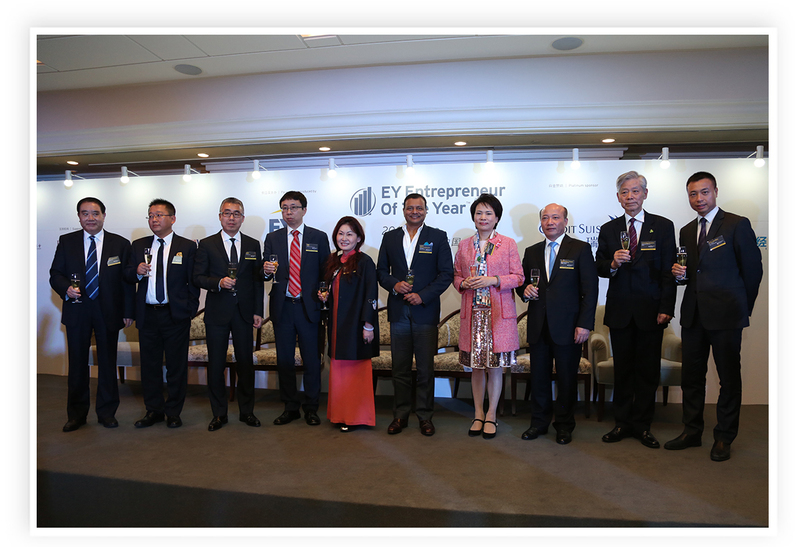 The EOY 2016 China winners raise their glasses for a toast. Selection criteria included financial performance, strategic direction, national or global impact, innovation and integrity as well as entrepreneurial spirit. Judges were captains of industry, academics, business experts and previous EOY winners. Lap Man (centre) receives the EOY award from Anthony Fan, President of The Hong Kong Independent Non-Executive Director Association, and Erica Su, Managing Partner of Transaction Advisory Services, Ernst & Young. Lap Man inspires guests with a rousing speech on the importance of having quality team members. No stranger to awards ceremonies, Lap Man was singled out by the “Capital Leaders of Excellence” scheme in 2009 and appeared two years later in the “Excellence in Achievement of World Chinese Youth Entrepreneurs” rankings organised by the World Federation of Chinese Entrepreneurs Organization. 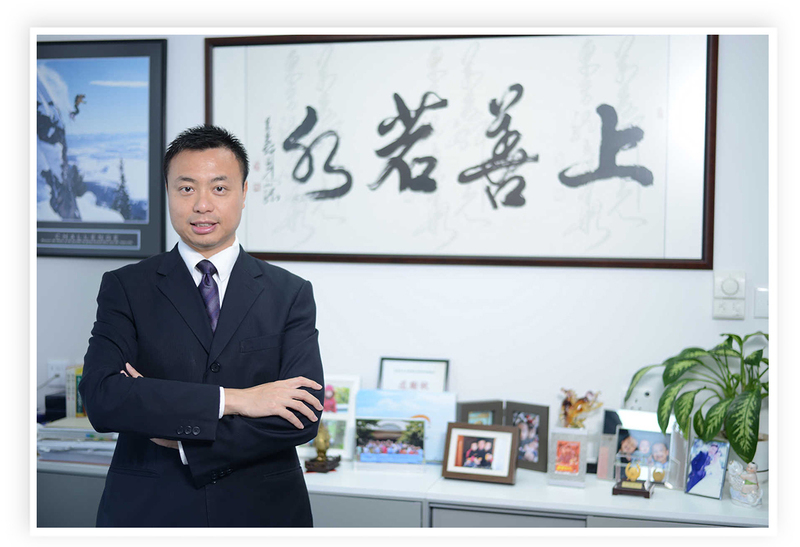 In 2012, he was a winner in the “Asia Pacific Entrepreneurship Awards” and later named one of the “Top 10 Most Innovative High Technology Innovators in Asia” by RHA Media. Lap Man was also awarded a “Who’s Who Chinese Business Leader Honor Certificate” by the Asian College of Knowledge Management. 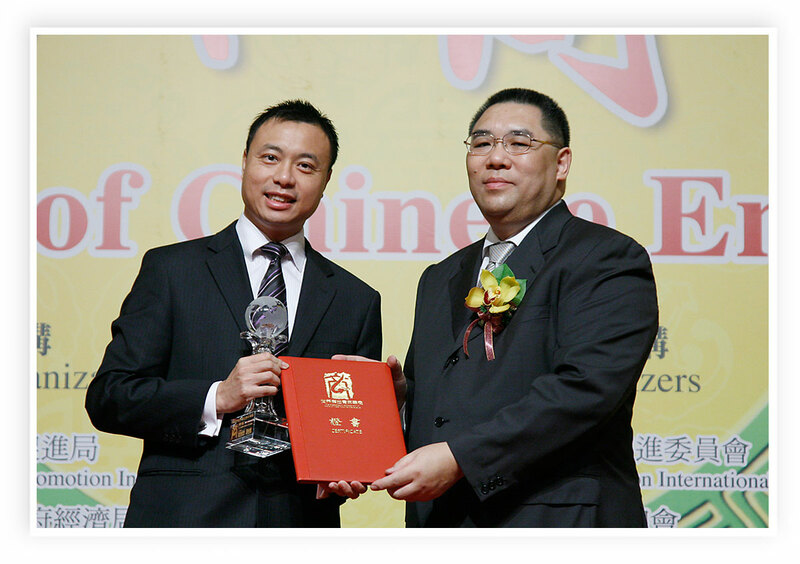 Flashback to 2011 when Lap Man receives “Excellence in Achievement of World Chinese Youth Entrepreneurs” honours from Chui Sai On, then CEO of the Macao Special Administrative Region of the PRC. 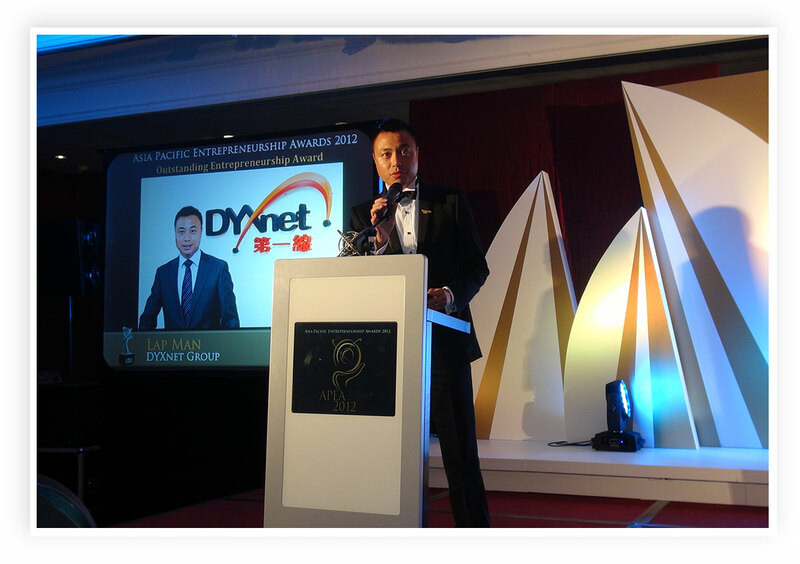 Lap Man delivers an address at the Asia Pacific Entrepreneurship Awards 2012 presentation ceremony. A reminder that “the best of all nature is just like water (上善若水)” hangs in Lap Man’s office and helps him when devising strategies or taking tough decisions. The EOY awards scheme was launched in the US in 1986, then established in China in 2006, and now involves more than 60 countries and regions. At the gala, two of the twelve winners will be honored as the country winners of EOY 2016 China. 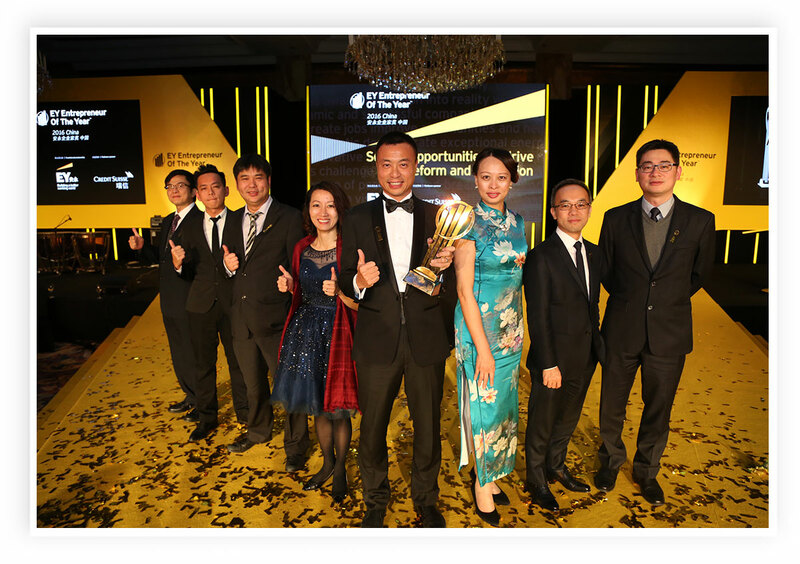 They will represent the mainland China and Hong Kong/Macau regions together with over 50 national award winners from around the world to compete for the EY World Entrepreneur of the Year award held in an international awards ceremony in Jun 2017 in Monaco.